Pop. 1,848. In Wicksteed T., Algoma Dist., on Hwy 631, 103 km. N of White R. and 69 km. S of Hwy 11, at a point 63 km. W of Hearst. 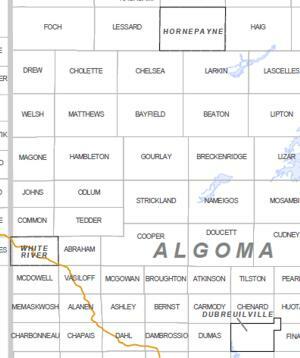 In Wickstead T, Algoma Dist., NW of Hornepayne.